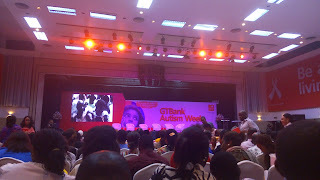 I went for the GTBank's 8th Annual Autism week. 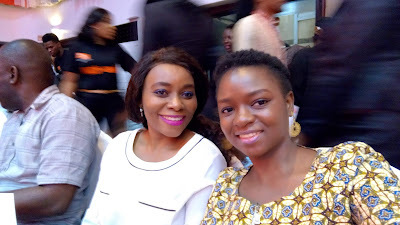 I was invited by my big sis Anne of @Mums24 and I have heard about Autism but in such a distant manner as I don't really know anyone who is living with Autism. I went into the event not knowing what to expect and kind of feeling out of place. 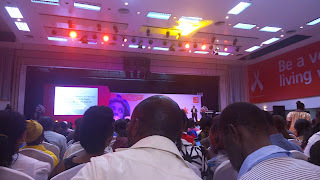 We went on the 2nd day of the event and I still learnt a lot. There were 4 speakers I listened to A Phychologist, A Public health Doctor, a school owner and a speech therapist. 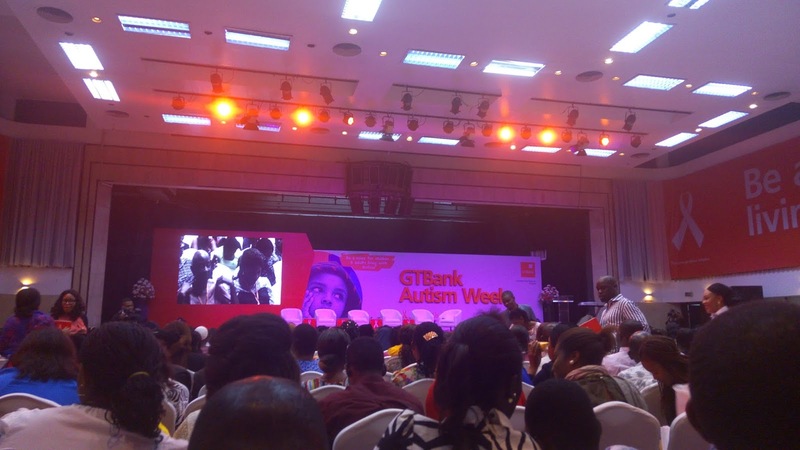 Dr Funmilayo Omotayo - The Phychologist talked about her experience in the UK providing support for families of children living with Autism. 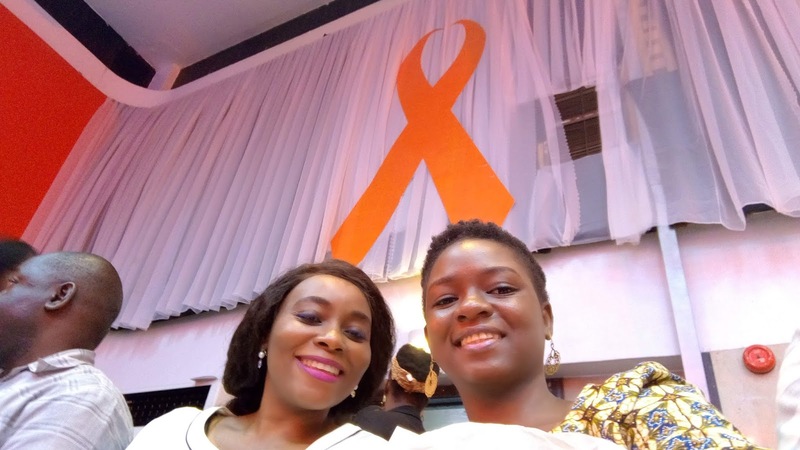 Her key message is the importance of support of the families of Autistic children and the difference it can make in their lives. 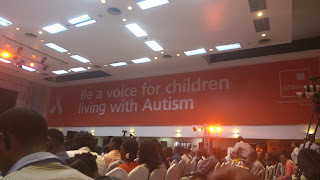 Dr Noimot spoke about communities and the huge role they have to play in the awareness of Autism because it is people in these communities that will interact with the children and adult living with Autism and they will want us all to be armed with information to be able to better co-exist. Religious communities; Parents engaging their religious leaders and making them aware about Autism, what it is and how they can make support structures available for other people. 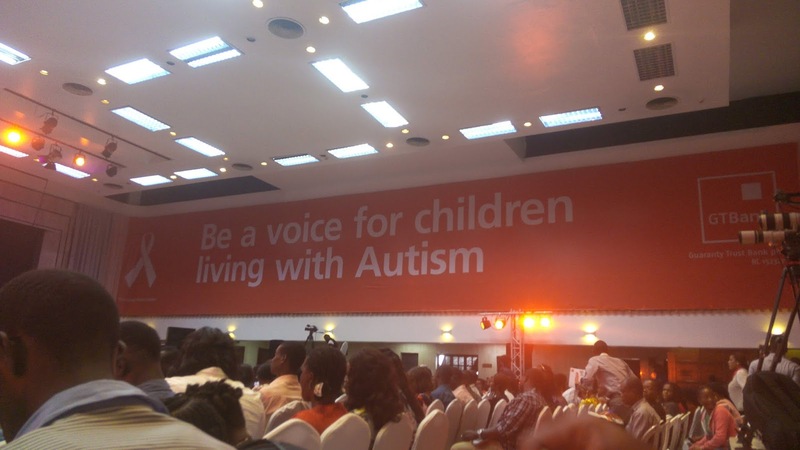 Also, they can also do talks educating other members of their religious bodies on how to interact with Autistic children in their environment. 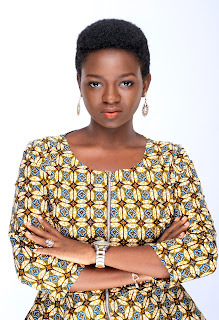 Social relations e.g Market women, Motor parks; Talk in general meetings of these bodies to make them aware in order to reach more people in the grassroots to make them aware. Political; Partner with people in power to also create awareness because most of the problem is lack of information by the general public. 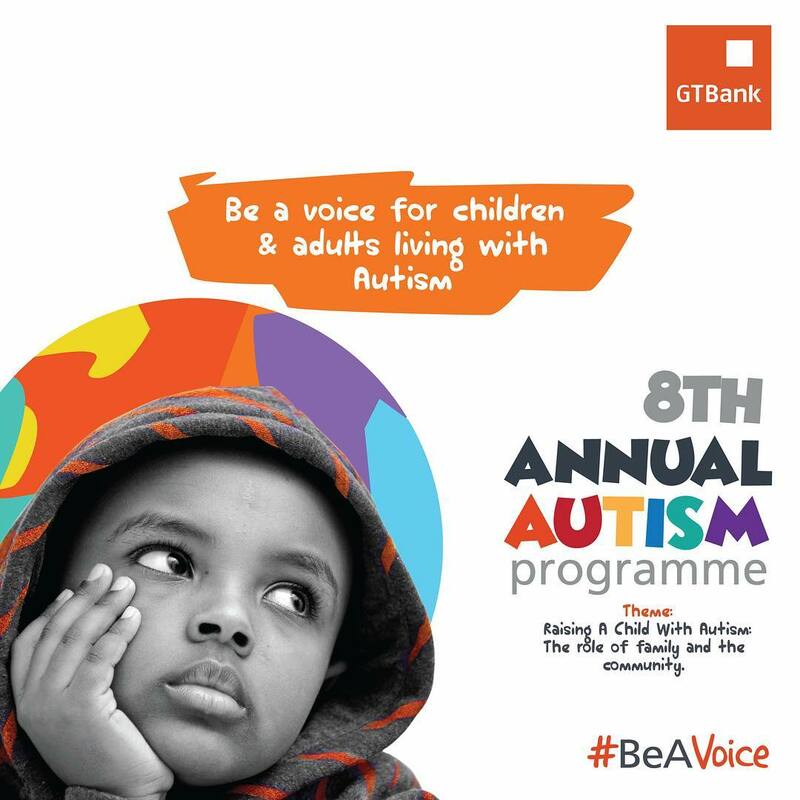 Health Communities: In as much as we think Dr or other health workers should know about Autism, it is not common knowledge. She encouraged that there should also be awareness among the health communities especially the public health workers in order for them to have the right information and the right referrals in case they come accross any case. 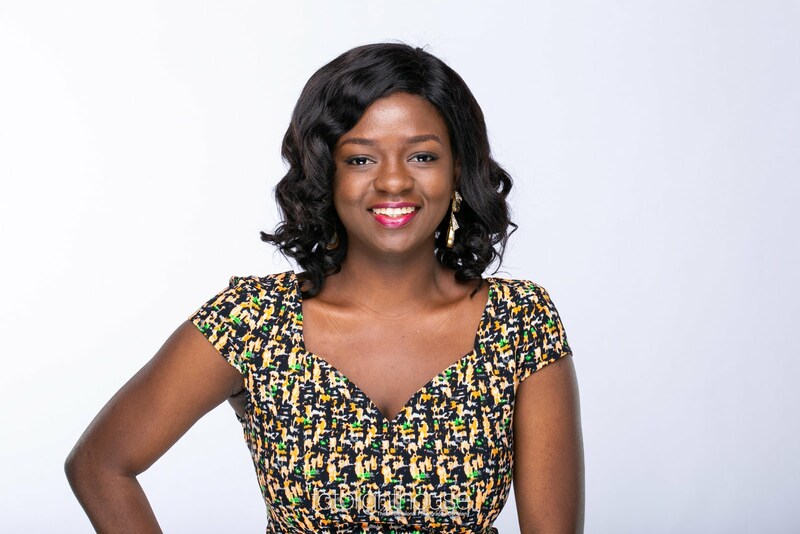 She founded an inclusice school and shared on how it also starts from the classroom as other children become aware as well and know how to exist and thrive with children with special needs arond them. How can school get involved? Bring the child with soecial needs close to them. The speech therapist basically gave real life scenarios of 10 life skills that the child needs to have to be independent and how to get parents, guardians to be able to help them develop these skills by communicating in the ways they would understand and that will be less intimidating. It was a really eye opening session for me and I only attended the first part of the 2nd day. I can imagine what my experience will be if I did attend all the sessions. I am really grateful to Dr Anne for inviting me. I really hoped that you were able to learn a thing or 2 from my recap. Do you know anything about Autism?